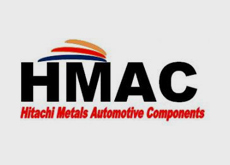 Hitachi Metals Automotive Components USA, LLC | Network Directory : Hitachi in the U.S.A.
A wholly owned subsidiary of Hitachi Metals America, Hitachi Metals Automotive Components USA, LLC offers automotive castings, precision machining and assembly to the OEM industry. We believe in constant innovation and continuously surpass industry benchmarks, while maintaining strict quality control. Hitachi is a global leader in automotive solutions and components. Our core products include brackets, exhaust manifolds and suspension components. We have a wide customer base in the OEM automotive industry, including Ford, Chrysler, General Motors, BMW, Mazda, Nissan, Subaru, Mitsubishi, and Honda.